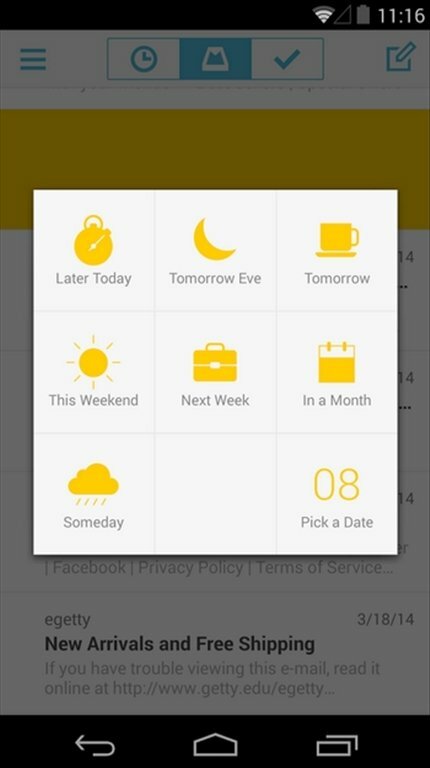 Mailbox offers its users a simple and comfortable inbox, so that checking and organizing the messages that we receive becomes a quick and efficient task. 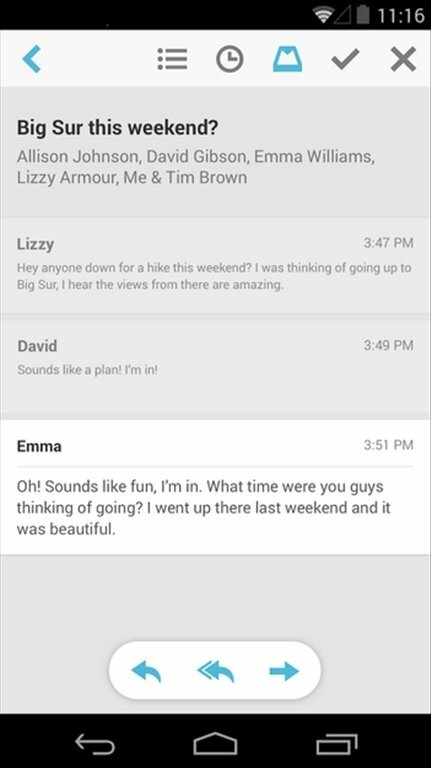 Its great potential is based on being able to manage emails by means of gestures, without requiring any buttons. 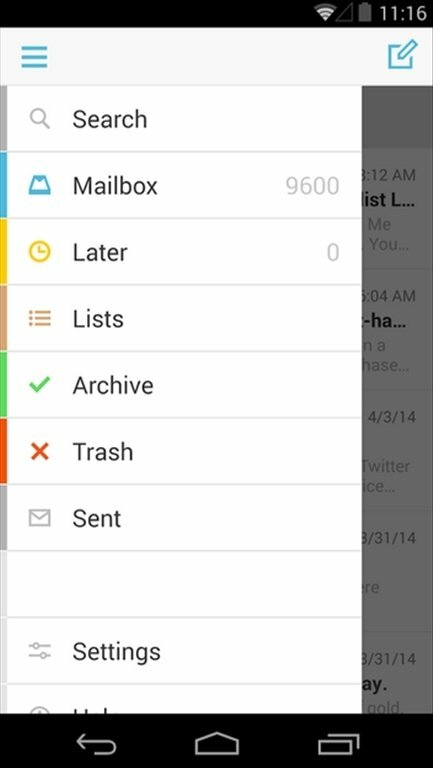 You can now install Mailbox on your Android and make the most of all its advantages. 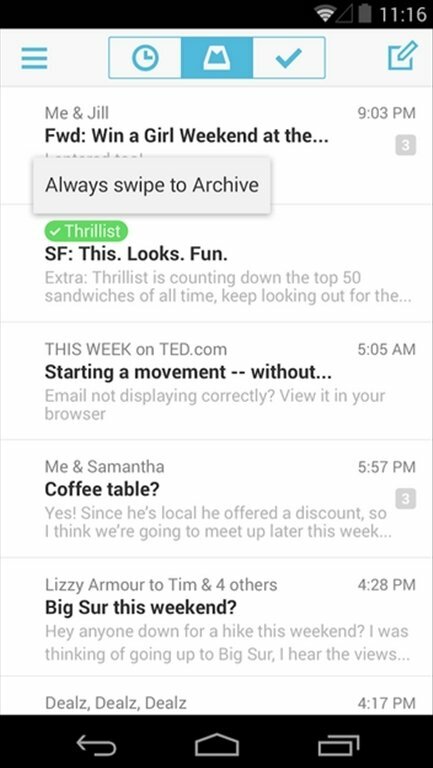 Mailbox learns from how you use it. 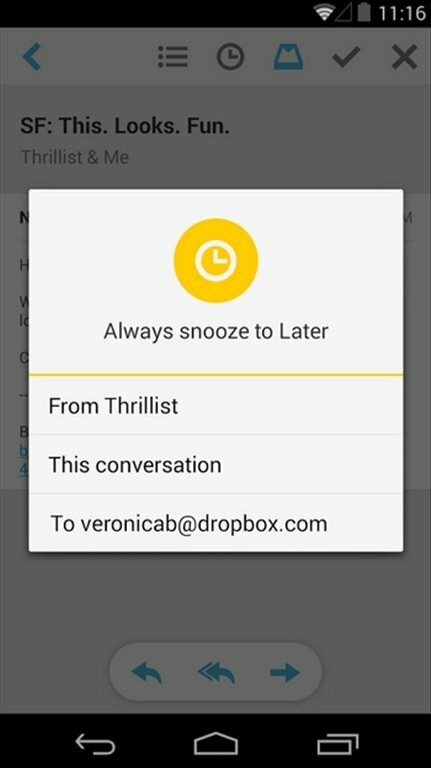 Automates the most common actions. Allows us to mute conversations that don't interest us. Supports iCloud and Gmail accounts. 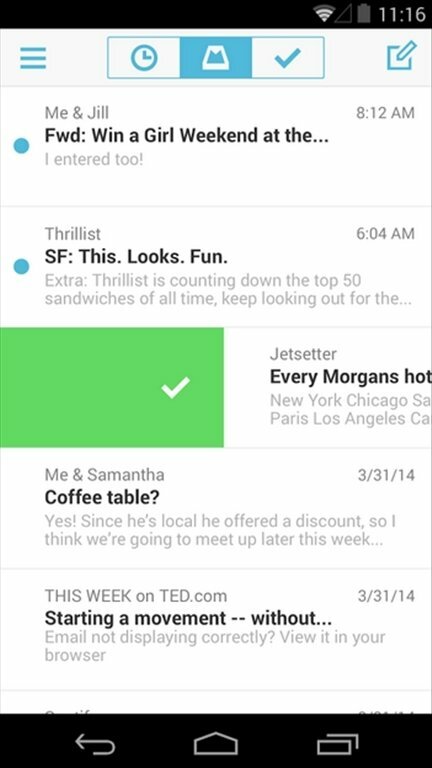 Mailbox will make the management of your emails much more comfortable and efficient.